In a world where smaller computers are everything, you may find big computers are clunky and not made for folks who need powerful machines. But the Dell XPS 15 2-in-1 finds a way to give big computer users what they want in a small body. Does it succeed? Spoiler alert: yes. In a world where smaller tablets and laptop-tablet-hybrids are everything, it can be hard for people with bigger needs to find what they want. Big computers are often clunky and not made for folks who need powerful machines. But Dell’s 15 inch XPS 2 in 1 finds a way to give big computer users what they want in a small body. Does it succeed? 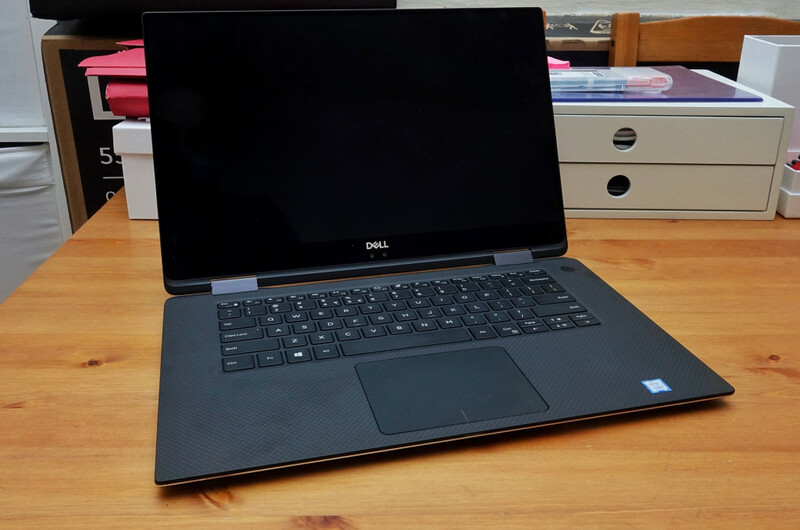 We’re a little late in reviewing Dell’s 15 inch XPS 2-in-1, but the title kind of gives away everything this is, with the Dell XPS 15 2 in 1 being an XPS-class Dell 15 inch laptop sporting both the ability to be laptop and tablet. 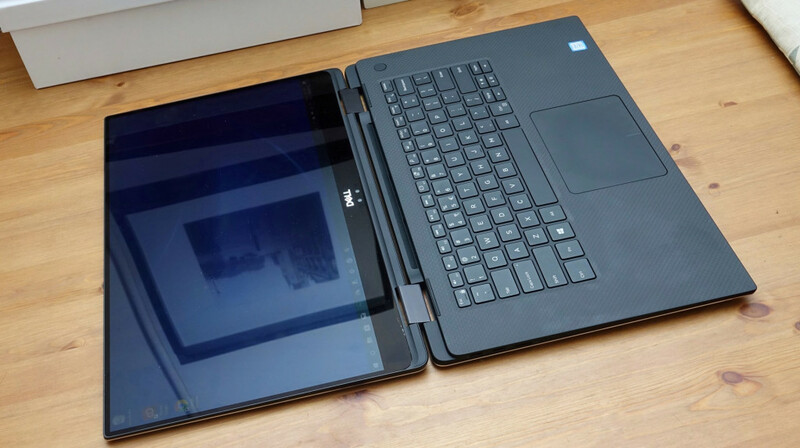 That’s what the “2-in-1” part of the name means, and is usually an implication that you’ll find a specialty hinge on this laptop, allowing the screen to rotate all around the back and effectively turn into a laptop. And that’s precisely what the Dell XPS 15 2-in-1 can do, though it can do a lot more. The system is a bit of a beast, armed with some of the best set of specs we’ve seen on a laptop to date. You’ll find an Intel eighth-generation Core i7 processor here clocked at 3.1GHz, so it’s not slow, with as much as 16GB RAM and 1TB of solid-state storage. There’s also a proper graphics chip here too, with AMD’s Radeon RX Vega M GL chip with 4GB RAM for its own uses. In fact, this is one of those few laptops that sports an Intel and AMD hybrid chip, making it suitable for more than just productivity, but graphical uses and games, as well. It’s a pretty special system, and one that is complemented by a lovely and bright 4K Ultra HD screen. Much like Dell’s 13 inch XPS, the bezels are so slim, you may not even realise they’re there, and this all works to add to the excellence of the screen you’ll be staring at. 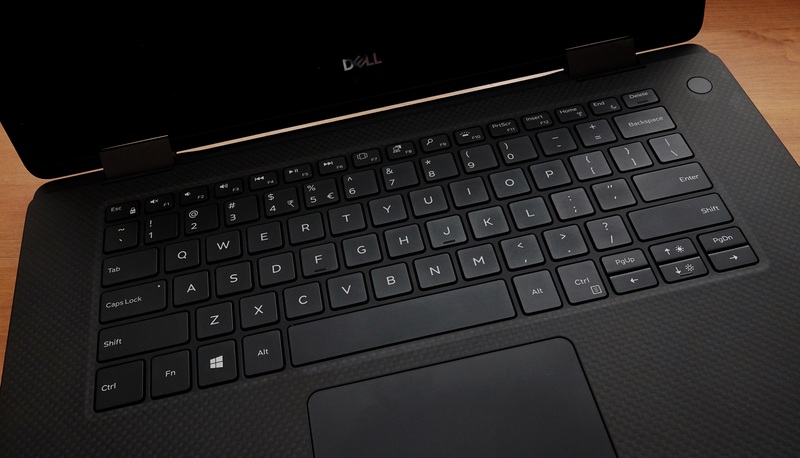 Dell has also introduced a really interesting keyboard, which in this day and age makes a lot of sense. While Apple tries its butterfly mechanism for its MacBook and MacBook Pro, Dell has gone a different way, leveraging the magnetic-levitation technology commonly known as “maglev” to do the job. That means this keyboard doesn’t actually have mechanisms, per se, and instead relies on magnets to hold the keys in place and register the button presses, allowing the whole thing to be much thinner. It’s a curious concept, and one that results in a surprising amount of travel for a machine that doesn’t technically offer much to begin with. The mouse is also there, though it’s not as large as we’d like, and there’s even a fingerprint sensor built into the power button, which can log you into Windows Hello alongside the facial login. 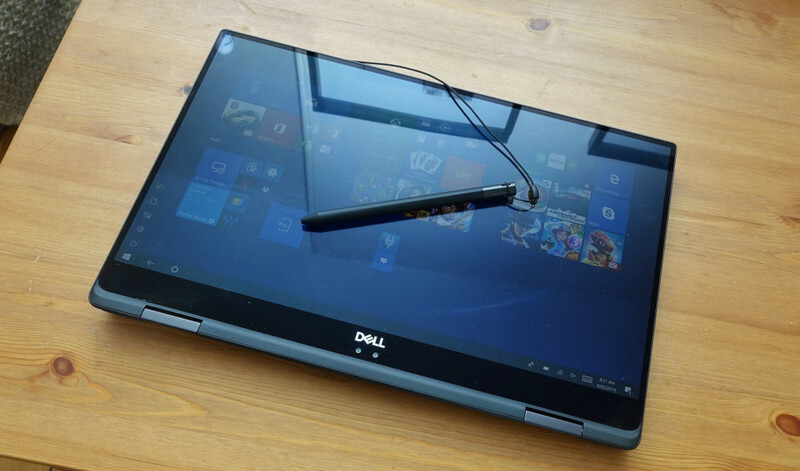 There’s also a pen if you happen to feel like writing on the touchscreen is something you want to do, as well as four USB Type C ports on the side, all of which can charge the laptop from its surprisingly big charging brick. 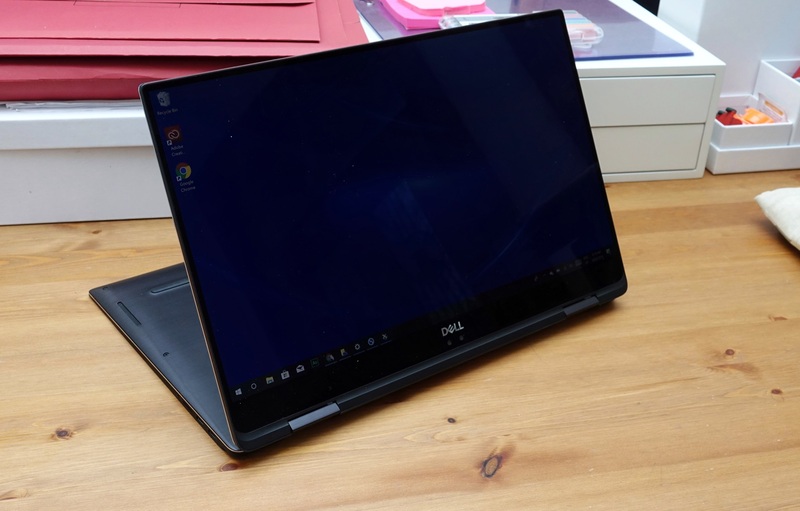 You have options in this powerfully thin machine, and those options make the Dell XPS 15 2 in 1 a really interesting setup. 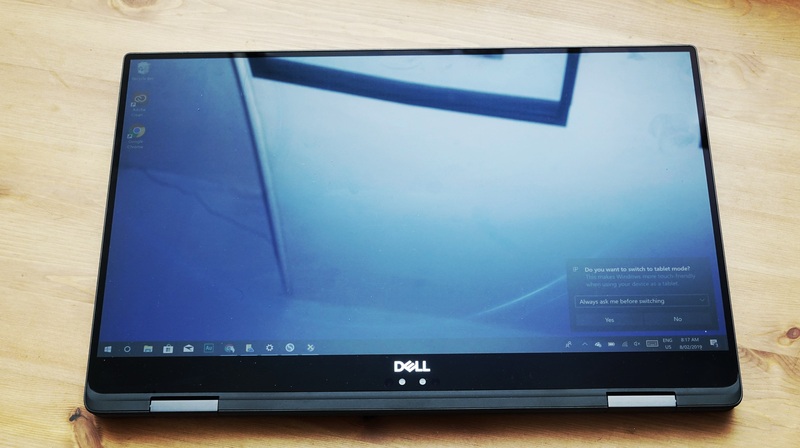 Using the Dell XPS 15 2-in-1, we spent most of our time in the laptop mode, which given the big size of the 15 inch computer, probably comes as little surprise. The combination of a quad-core Intel Core i7 and the 16 gigs of RAM on the machine made mincemeat of pretty much any and every task, making our installs of Adobe Photoshop, Premiere, and After Effects shine for when we needed them. There’s also a fair degree of video support, too, and while we don’t game anywhere near as often as we once did, having an AMD Vega on-board for the ride helps to cement that this surprisingly thin 15 incher can do more than most of models in its class. But while the system specs make it a powerful machine alongside an absolutely lovely screen, Dell’s hybrid 15 inch isn’t without its niggles. One of these is size, because while a 15 inch hybrid is cool, we’d be shocked if anyone opted to use it as anything more than a laptop given its size. The massive 15 inch size may well have slim bezels, but they’re not enough to stop the laptop from still being huge, and when you rotate that screen around, it’s still quite an oversized tablet, almost to the point of ridiculousness. There’s also a lot of heat on this laptop, especially when plugged in. The rubberised feeling of the carbon-fibre coating for the keyboard and your wrist helps keep your palms comfortable, but heaven forbid you leave the Dell XPS 15 2-in-1 on your lap, because you’ll find it gets mighty toasty at the bottom. Your desk will be fine, and on pants will be fine. Wearing shorts? Well, don’t say we didn’t warn you. Also, we wish Dell would reduce the size of its power packs. It seems like a silly thing, but when the Apple MacBook Pro and Surface Book can both get the charger size down, we feel Dell should, as well. 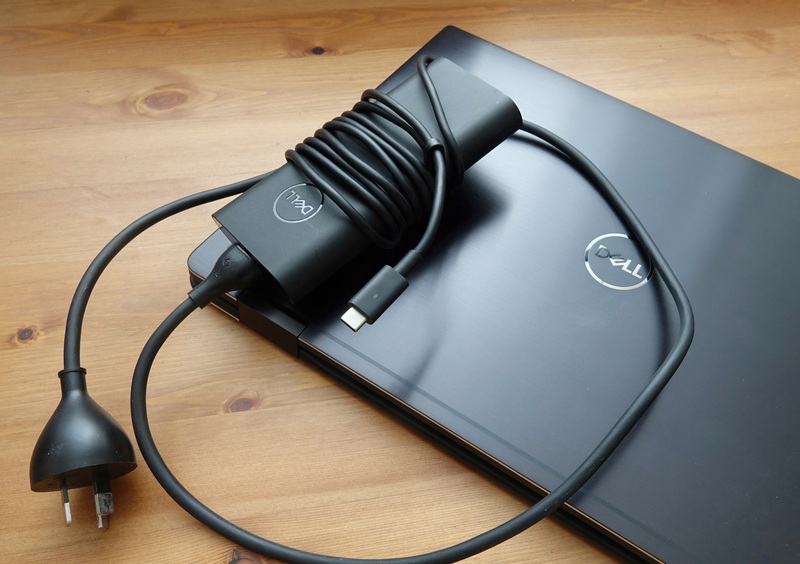 It’s just a little too large, especially in an era when Type C laptop charging is becoming commonplace with smaller charge packs. 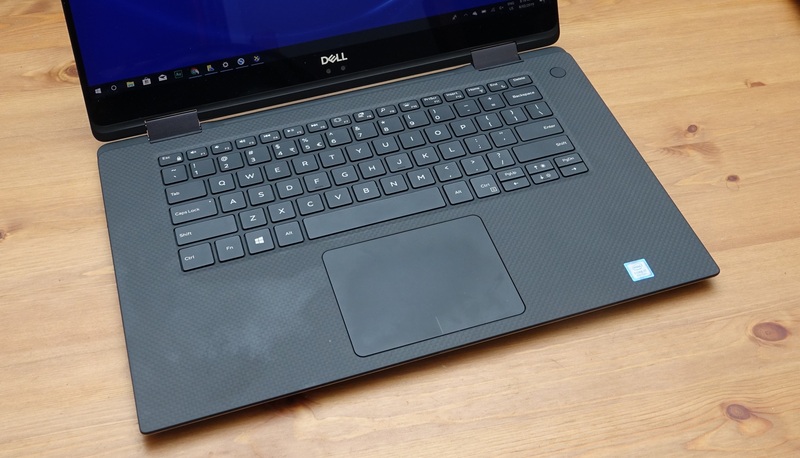 Finally, it’s worth pointing out that the carbon fibre finish on the Dell XPS 15 2-in-1 is like the carbon fibre finish on Dell’s other XPS models, which means it will leave behind your grubby fingerprints. Bring a cloth, because you’ll need one. 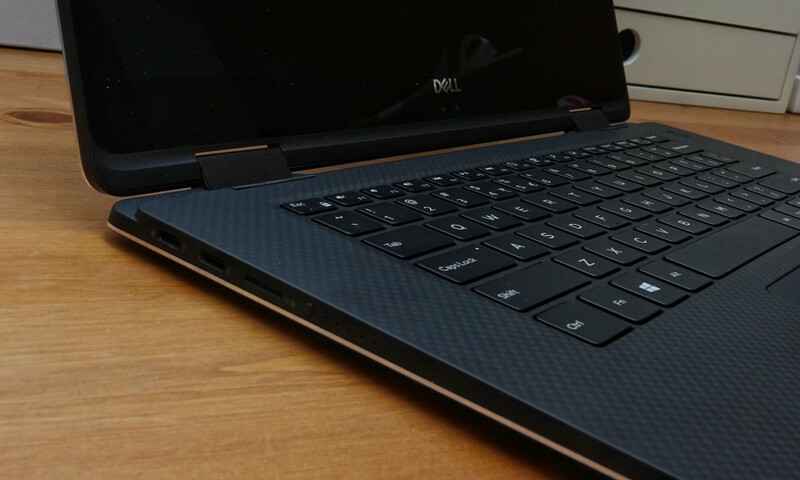 With only a handful of issues, Dell’s 15 inch 2 in 1 XPS is definitely worthy of your time, though it does come with a fairly hefty price. In fact in Australia, it starts at $3399 for 8GB RAM and 512GB storage, with the review model we checked out hitting a staggering $4199. That’s a massive price point, even though you do get quite a bit of computer for the amount on offer. Overall, we give the Dell XPS 15 2-in-1 a “yay”, because it’s a great computer that tries to slim the 15 inch as much as possible — as much as you can, really — in a powerfully thin design. There are still some things Dell could do to make the experience just that much better, but it is indeed a fantastic option for folks who still need that massive 15 inch screen with a spec list to support their huge screen. Recommended.